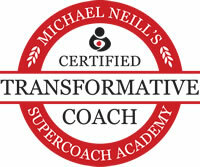 – Transformative Coaching, My Clients, and Me! …The outside situation has not changed much over three weeks, but I can see it with more clarity and approach it with more grace. My experience has a much lighter feeling to it as the result. I am less afraid to show up for my life. There is more ease in the “low” moments, more laughter and joy in the “high” times, and more peace in between. I do not guess where books are leading, I do not read the back cover. I had no expectations of the coaching, just hopes… The hopes were fulfilled. In a few sessions I have gone from a mind full of research and ideas to a clarity of the principles that surprised and delighted me. I contacted Steve for the relationship issue that I was dealing with between my wife and my sister. (They hadn’t spoken for close to 6 months and the situation was bad to an extent that it was damaging my as well as my parents health.) I spoke to Steve for about an hour and within such a short time, he understood my world and provided me with relevant insights and very nicely put the top 3 things for me to try in an email. I went through the email everyday and within 2 weeks I got big breakthrough when my sister came to my house and spoke at length to clarify and start a new relationship with my wife. This was followed next day by a surprise party for us. I can’t ask for more. In the entire process, I gained a lot of freedom in other areas of my life and I have never been so happy in my life. It feels awesome. Thanks to the 3 principles and Steve to have it nailed in just one session. STEVE NOTE: All I suggested to R., by the way, was for him to stop trying to work it out – to see what happens when he lets go of trying to solve the problem. Which he did. Rather successfully, it seems – I followed up with him, briefly, 2 weeks later. I would wholeheartedly recommend Steve as a Transformative Coach. The thing that stands out the most for me is you saying nothing has to be forced. If something happens it happens, if it doesn’t, it doesn’t. I felt so relieved to hear that. All the pressure is taken off and I just have to be me and not worry about doing something or getting somewhere. [Steve] is very good at allowing me to sit in my vulnerability and stay with it, even if at times I felt like hiding, his grounded presence helps me stay with the feeling, always encouraging with such gentleness and patience and checking if I was ok to continue without any pressure for a result. It wasn’t so much about finding an answer, more about a letting go, like creating a clearing to let in some light. I can highly recommend working with him. Learn More About 3 Principles Coaching? 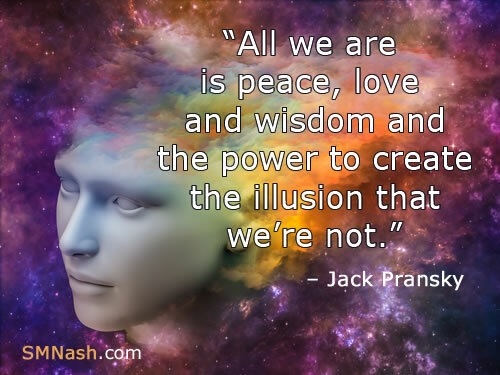 – You can learn more about transformative coaching here! Coaching sessions with Steve were a turning point for me. For long period of time I was suffering from depressions triggered by my health condition and I wasn’t able to find the way out of my despair and hopelessness. But after only a few sessions with Steve I felt very calm and peaceful and gradually over the few days I even started to feel happy again. Steve helped me to find inner peace again. Steve’s approach to coaching is unique, intelligent and deeply perceptive. [Steve’s] easy going manner and huge smile, immediately invite you to relax into a safe space, which by the way I never thought would be possible via Skype! Steve has a very gentle and kind approach. His presence helped me to create the space for myself and hold that space long enough to built a foundation for it. Through our sessions, Steve guided me in recognizing and learning to trust my inner wisdom which exists in that space. I think you are great at this and many, many people will find your style, lovely spirit, and presence so helpful. [Instead,] our session felt more like a conversation with a friend than anything more formal, although I was aware that you were subtly guiding it. I felt safe enough to share with him things about myself that I haven’t told anyone before. It wasn’t asked for, it just seemed a natural thing to do, as if I was talking to a confidant that I had known for years. 3 Principles Coaching Testimonials: Your Turn?